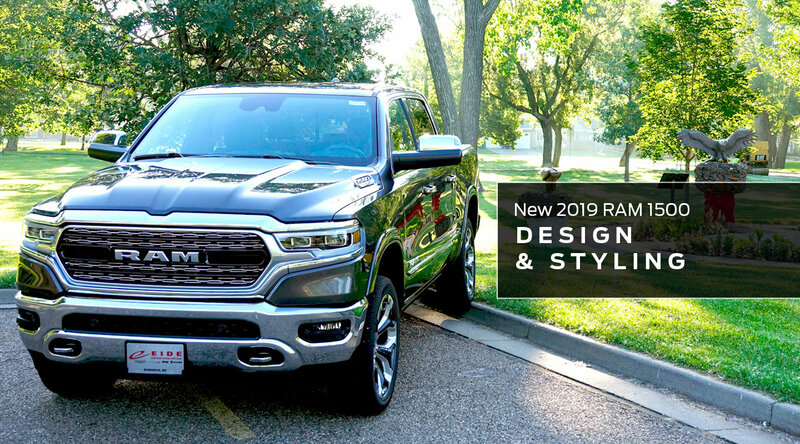 It's a big year for North Dakota RAM truck drivers as the new 2019 model is completely redesigned both inside and out. With more handcrafted leather behind the wheel and a chiseled, more aerodynamic exterior, the new model is the most luxurious in its class. The moment you see a 2019 RAM truck driving toward you, you'll notice the difference. Up front, you'll first notice the deep valley in the hood that cuts down into the grille – which also sees changes this year. The tall front grille of RAM trucks past has been replaced with a shorter, but wider update. The grille extends to either side, wrapping around the new, sleeker headlights and creating an all-together more modern and cleaner look. More minor changes include the engine-destination badges now located on the hood rather than the front doors, and a spoiler underneath the front bumper, which cuts aero drag to improve highway fuel economy. 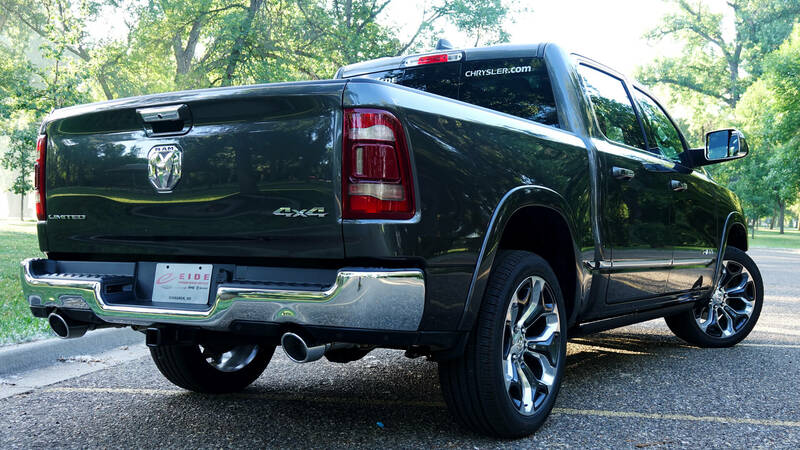 On the back end, RAM makes several changes to the 2019 model, starting with the tailgate logo. Replacing the large "RAM" text logo is the less jarring Ram's head logo. Below that, the bumper now sports a two-level design, making it easier to get in and out – helpful, since the bed sides are higher for 2019. Like the front counterparts, the rear taillights take on a more angled and modern look while the entire cab roof is sporting a subtle sculpt. 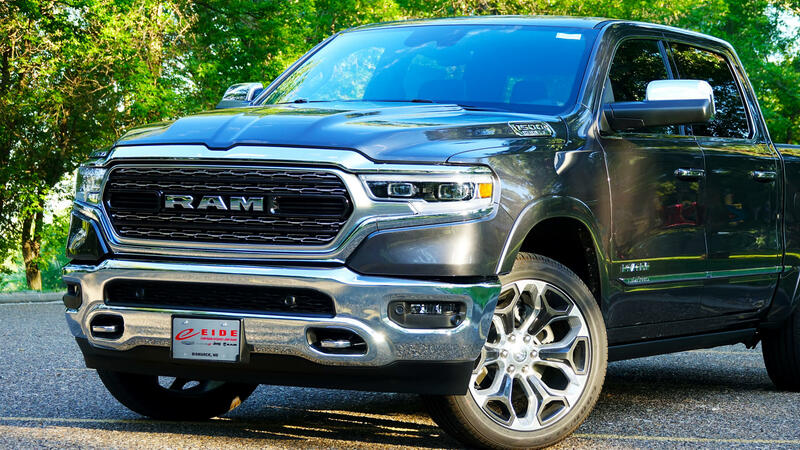 RAM says that the 2019 RAM 1500 is truly "the best combination of grit and grace," and we couldn't agree more. This year, designers updated the steering wheel and the center console and also changed the center-stack controls. 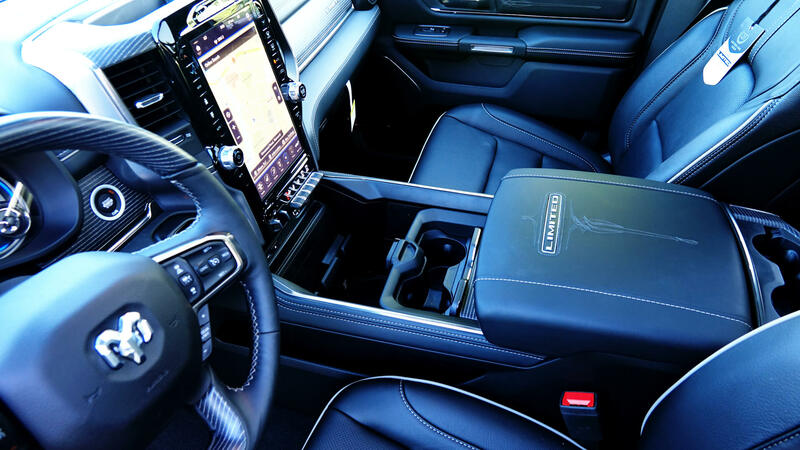 Plus, depending on the trim you choose, you could be relaxing behind the wheel with genuine wood trim and metal speaker grilles. Don't believe us? Stop in today and sit in it yourself.